My son recently celebrated his birthday. As tradition holds, he received a LEGO project from his grandparents. Given his experience with the blocks, his proud grandparents thought he was ready for a more advanced creation...but still within the "suitable age range." One afternoon, he sat down to get started. He asked me if we could work on it together as a team. He may have been a little intimidated, but he wouldn't admit it. I was happy to help. I love LEGO. Together, we could build anything. LEGO instructions are irrefutable...a model of design. How could we go wrong? Unable to figure it out, we took it all apart and started over. Despite extra attention, we hit the same snag the second time...at the same place. We both realized that we had been defeated. If only there was text or video to support the pictures! A quick Google search turned up nothing. We put the LEGO away. Mulling this experience over driving to work the next day, I was reminded of the concepts of the Dual Code Theory, cognitive load and information processing. (As an instructional designer, my musings often take odd turns.) Back in the 1970s, Allan Palvio developed a theory of cognition that would influence cognitive psychology for generations. In a nutshell, Palvio's theory is that the brain processes information along a visual and a verbal channel, and that information is better understood, retained and recalled when both channels are utilized when dealing with new information rather than just one. 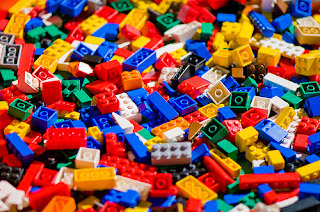 When combined with the brain's limited cognitive capacity - the brain can only process so much new information at one time (Sweller) - I began to understand our failure at our LEGO challenge. We only had one channel being activated (image-based instructions) and the information coming in on that one channel was too much for us to process. When new information is presented on both the visual and the verbal channel, it's easier to process, understand and act upon. It's the reason for the rise of multimedia education, TED talks, and YouTube. Children who find it difficult to read can often sit for hours watching instructional videos because the information is presented in a way they can more easily process. As educators we can often give new information to our students that they can't digest because it is using only a single channel and is cognitively too demanding. By presenting text, for example with supporting visuals, audio, or video, the cognitive demands are reduced. Activating both codes (visual and verbal) allows information to be processed and retained more readily. We still haven't finished our LEGO project. It's been a couple of weeks. I'm sure we'll get back to it once the sting of defeat has subsided. I can't help but think that many kids experience the same thing with their reading struggles, particularly older kids who have outgrown picture books. Knowing that they are supposed to be able to read grade-level material and then fail to comprehend it makes the struggle all the more damaging. If only there were pictures to go with the text.